Plato (; PLAY-toe Greek: Πλάτων Plátōn, pronounced [plá.tɔːn] PLAH-tone in Classical Attic; 428/427 or 424/423 – 348/347 BC) was an Athenian philosopher during the Classical period in Ancient Greece, founder of the Platonist school of thought, and the Academy, the first institution of higher learning in the Western world. He is widely considered the pivotal figure in the history of Ancient Greek and Western philosophy, along with his teacher, Socrates, and his most famous student, Aristotle. 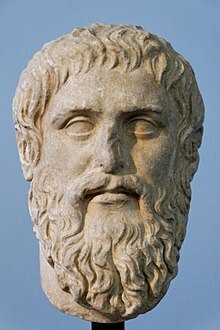 Plato has also often been cited as one of the founders of Western religion and spirituality.